No two are the same and these gemstones are sisters, not twins. 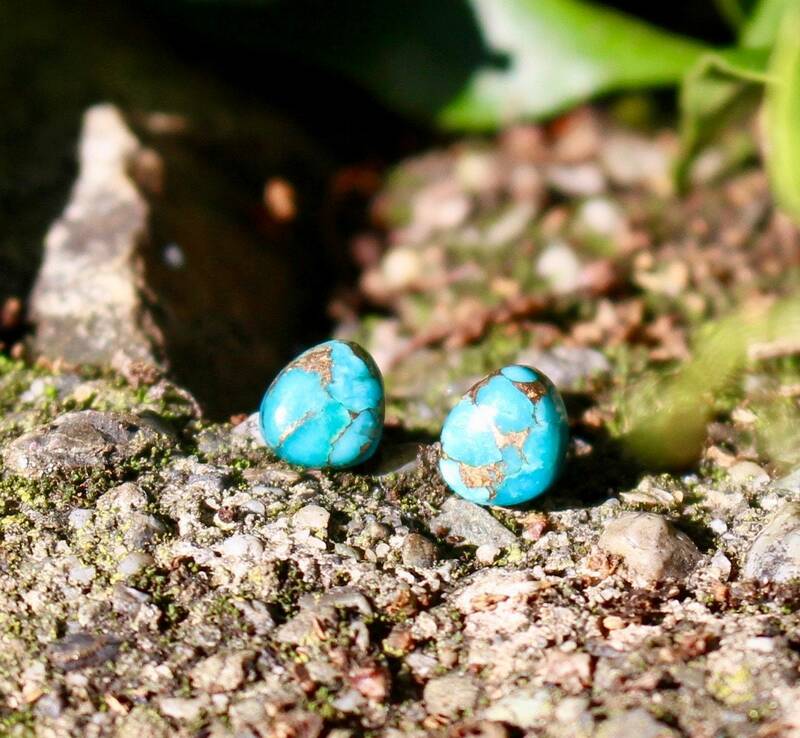 Turquoise is a classic gemstone and is fun and classy! These 6x7mm earrings are lightweight. They are mounted on pure titanium posts, the pad is surgical stainless steel and the ear nut is plastic, so everything is hypo allergenic! We are passionate about hypo allergenic because our owner has ears just as sensitive as you! There is nothing worse than to find a CUTE pair of earrings that make your ears itch and burn! We hope these give you NO issues! These are perfect, not too chunky or so dainty that you can’t see them. I really like the marbled look. Fast shipping and a free gift too, thank you! !